doggie with pesos - Go Fit Girl! | Go Fit Girl! The “last time” I was in Mexico City was almost 36 years ago. My mom said I was almost 2. And last time Doggie (pictured above) went with me. Doggie is staying home this time. 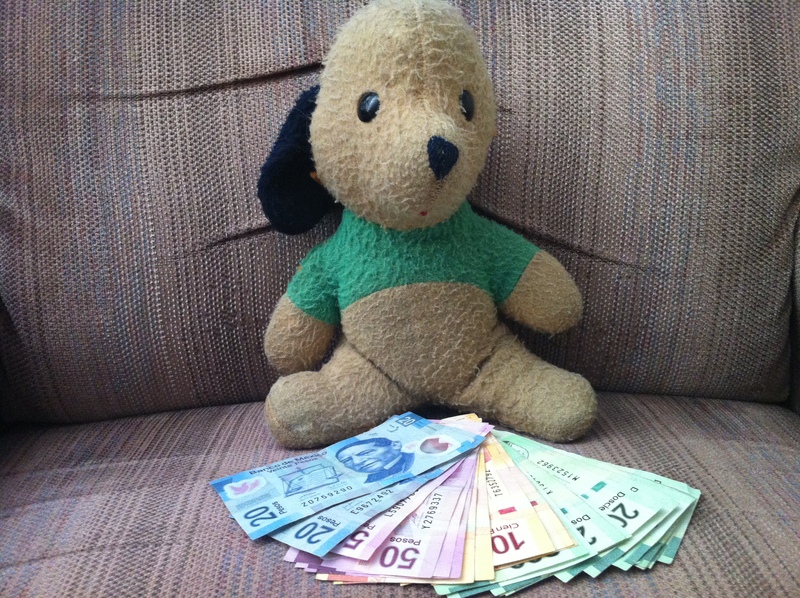 Doggie is posed with our pesos.